Save money by replacing a watch battery yourself rather than paying a jeweler to do this relatively simple task. Most fine watches have either a screw-on backing of stainless steel, or the back plate is held in place with four small, Phillips-head screws. The back cap often simply snaps off less expensive watches with the flip of a small, flat-blade screwdriver. Removing the back watch cover allows you to access the tiny battery inside. Replacements are available at large pharmacies, electronics stores and jewelers. Place the watch upside-down on a folded towel to protect the crystal from scratches. Remove the back cover either by unscrewing, removing the screws or prying it off with a small, flat-blade screwdriver or pocket knife, depending on the construction of the watch. A pry-off cover will have a small indentation along the edge where a screwdriver blade can be inserted to pop off the backing. Lift off the gasket seal and set aside. 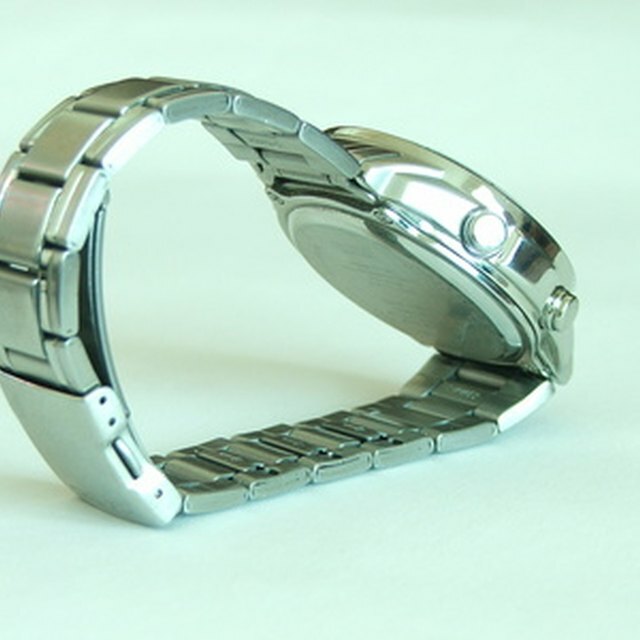 Look for the watch battery, which is metallic and roughly the size and shape of an aspirin. Check the polarity of the battery to determine if the positive (+) side is facing upward or down. Remove the battery either by gently popping it out of the mounting clip or use a jeweler's screwdriver to remove any screws securing the battery. Place the screw and battery cover in a small container, such as a plastic bowl, so the parts cannot roll off the table and become hard to find. Examine the battery to locate the three- or four-digit identification number. Take the battery number and the old battery with you to purchase a replacement. Insert the new battery in the same position as the old one and replace the battery cover. Gently turn over the watch to verify the movement. 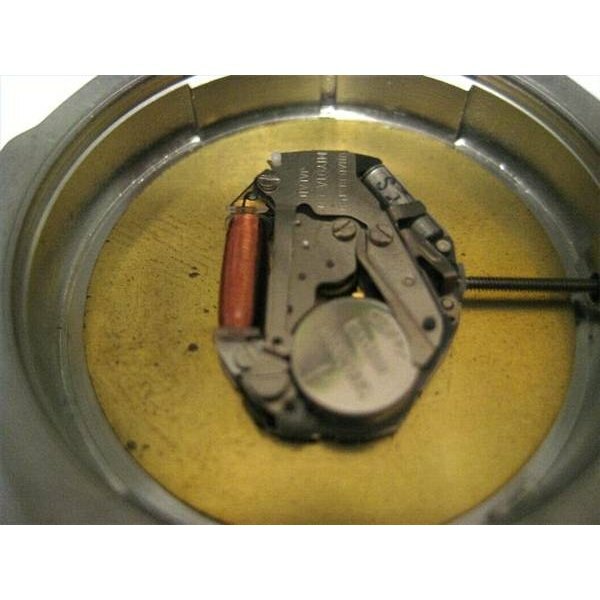 Replace the watch gasket and secure the back cover.